Accu-Scope Microscopes offered by Meyer Instruments, Inc. 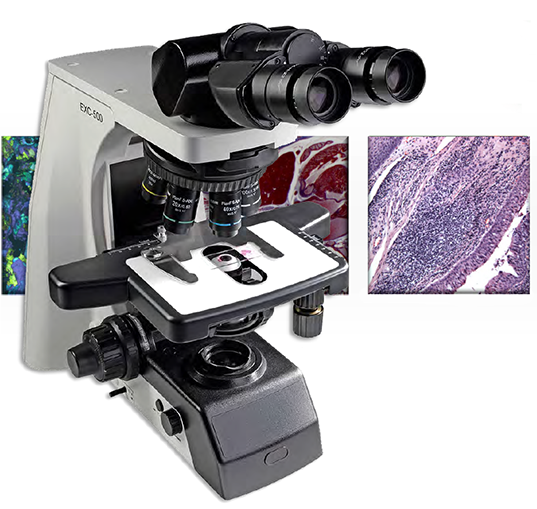 Speak with one of our specialists to see if an ACCU-SCOPE microscope is right for you! ACCU-SCOPE® products are available exclusively through a nationwide network of authorized distributors such as Meyer Instruments, Inc. and are backed by industry leading five-year limited warranty for parts, labor and electronic components. Originally established as an offshore medical importing company in the 1920s ACCU-SCOPE is one of the oldest microscope companies in the United States. In 1947 the company was re-established in New York City. ACCU-SCOPE Microscopes are designed and built by a leading manufacturer of microscopes and related accessories for education, life science, clinical, research and industrial applications. ACCU-SCOPE’s U.S. owned and operated facilities provide the management, quality control, design, marketing and customer service that make microscopes a market leader. Through their worldwide network of manufacturing facilities they are able to manufacture superior instruments and optical components to their specifications at reasonable prices. To ensure the best in quality and performance ACCU-SCOPE visits, inspects and audits each of their manufacturing partners on a regular basis. Upon receipt in our New York warehouse each ACCU-SCOPE microscope is unpacked, assembled and individually tested and inspected by their team of technicians to ensure compliance with the strict quality standards they have set over the past 60 years. Engineered to withstand years of heavy classroom use, the 3080 Monocular microscope is ruggedly built and provides high resolution images. Available in several configurations to fit the needs of any educational applications these microscopes are durable and designed to provide years of classroom enjoyment. Superb optics and student-proof design (eyepieces, objectives and viewing heads are locked-in) make the 3088F Monocular microscope a best in class choice in the educational market. A robust, variable, rechargeable LED illuminator or 5 watt fluorescent illuminator provides bright, white light allowing for rich contrast on slide samples. Configurations are available with disc or iris diaphragms, mechanical stages and/or teaching heads.